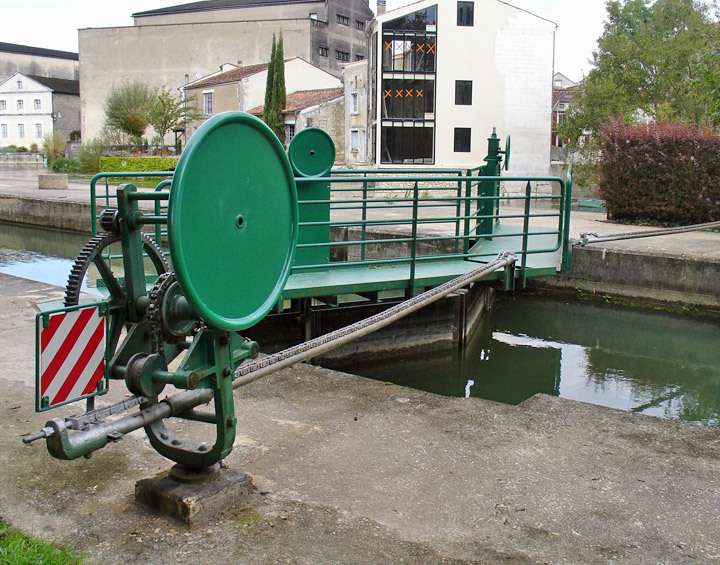 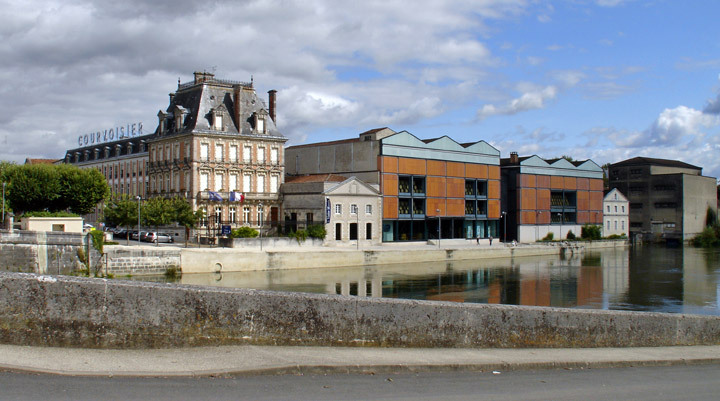 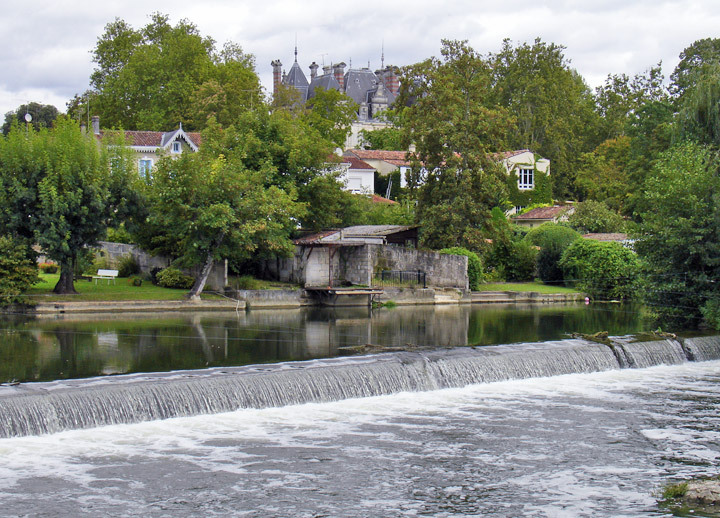 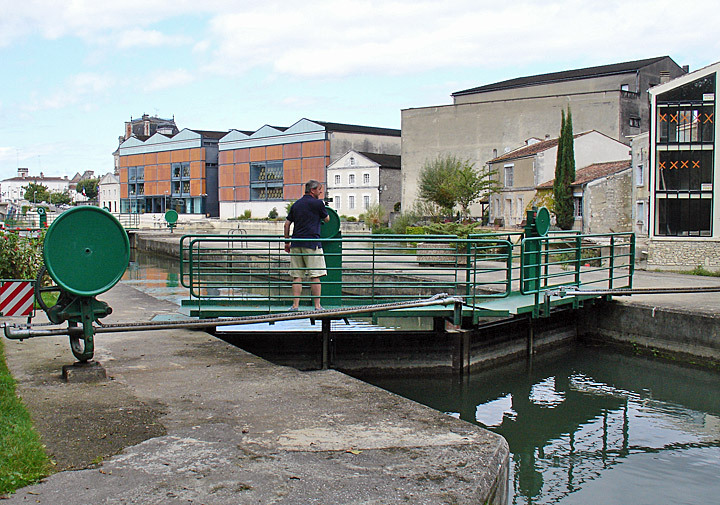 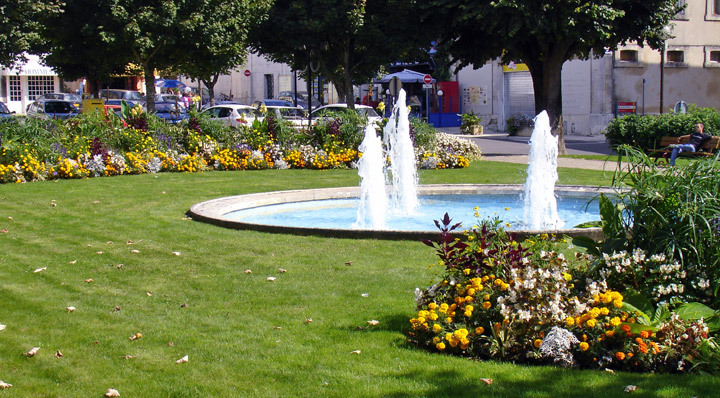 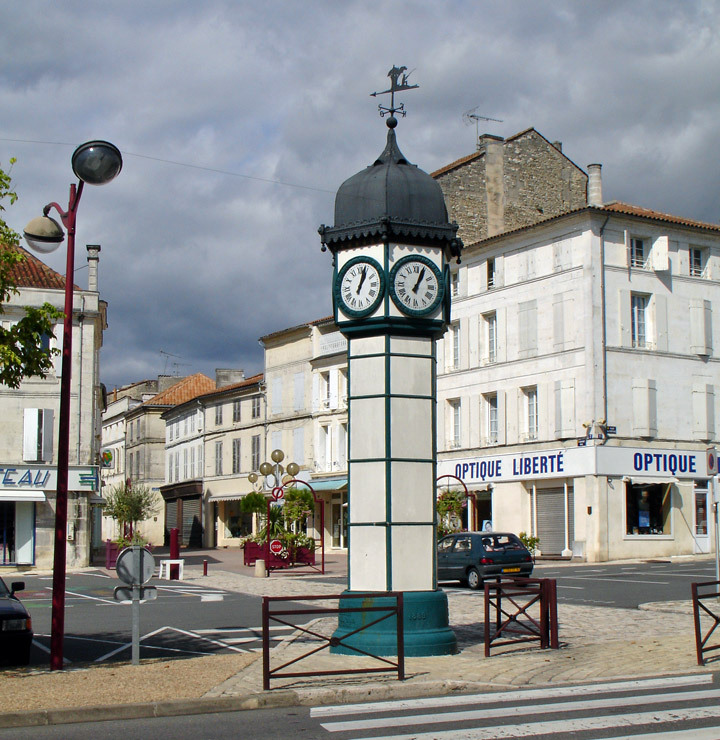 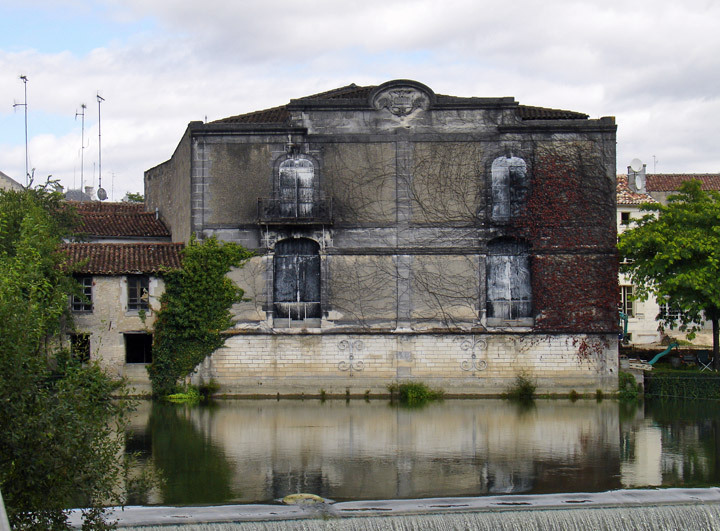 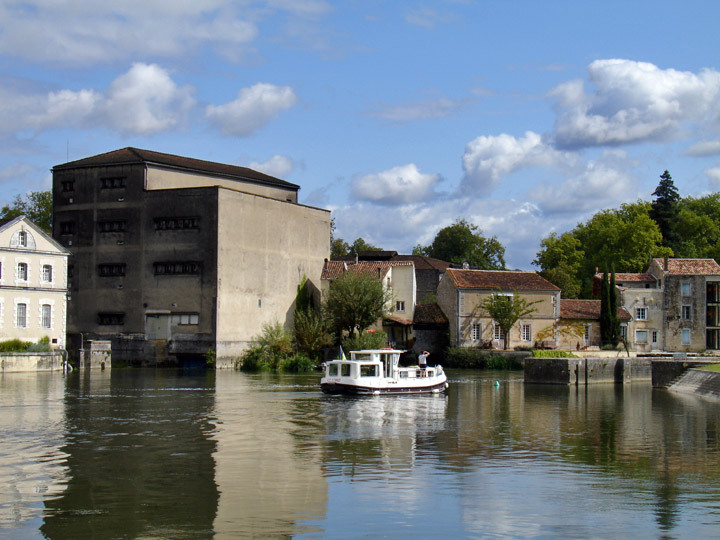 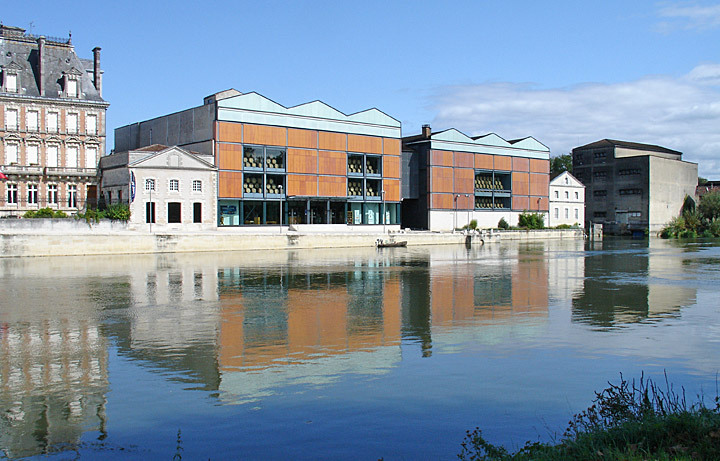 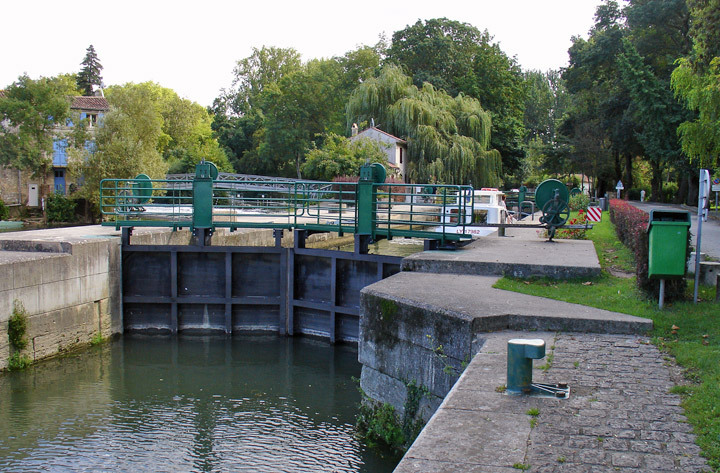 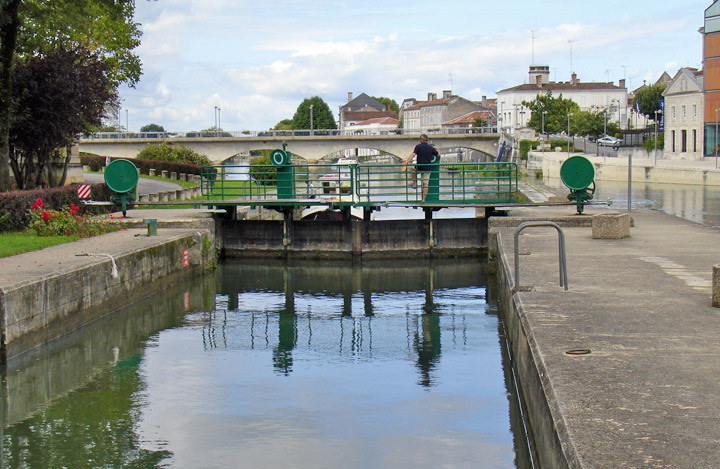 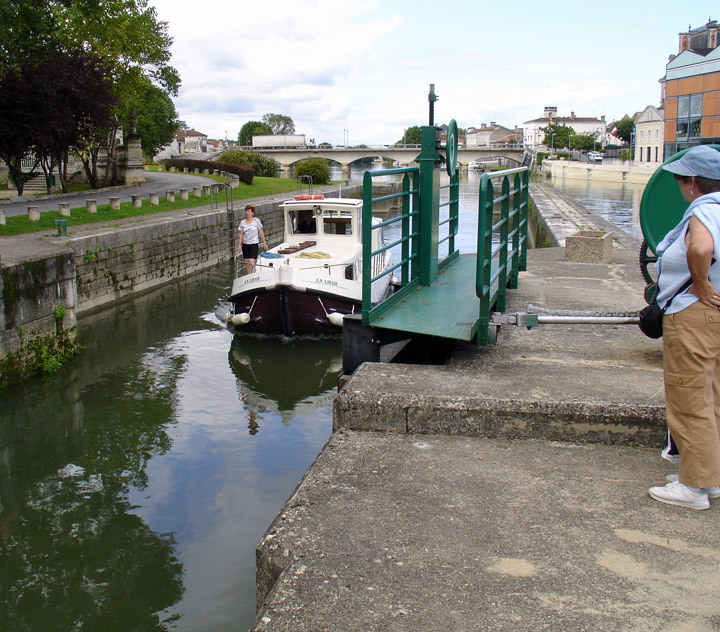 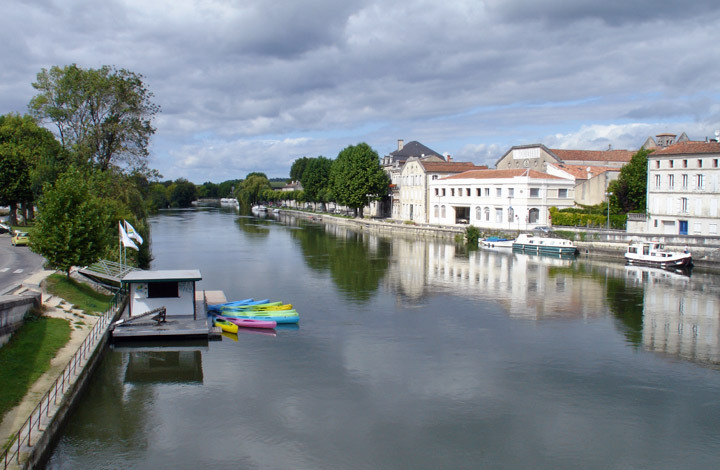 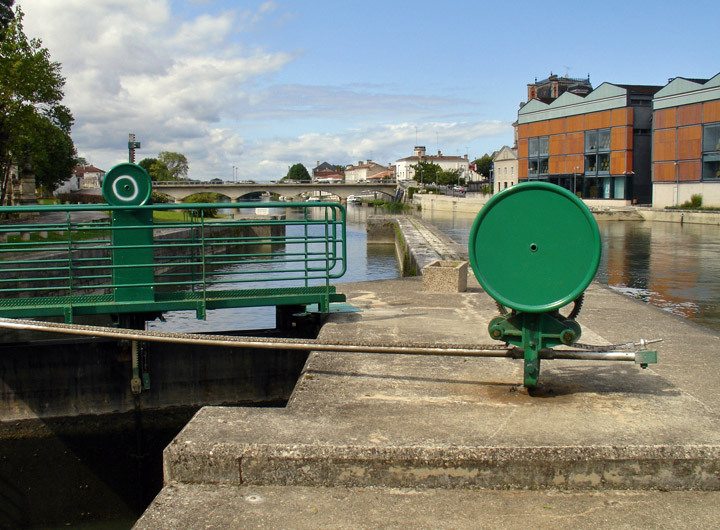 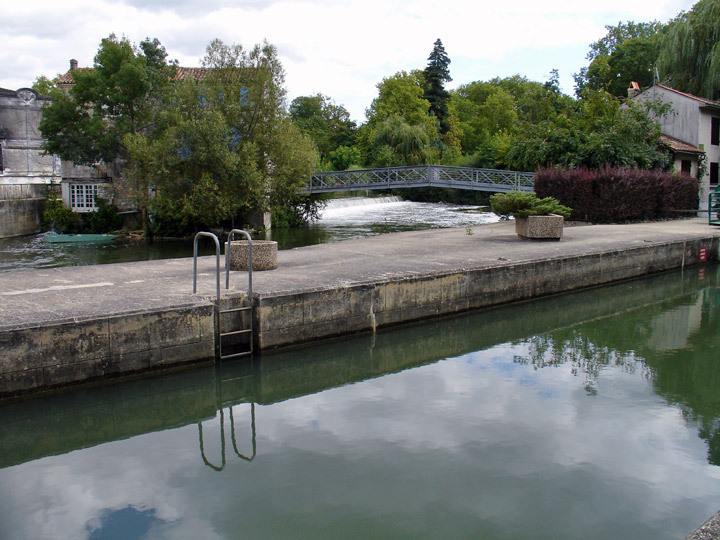 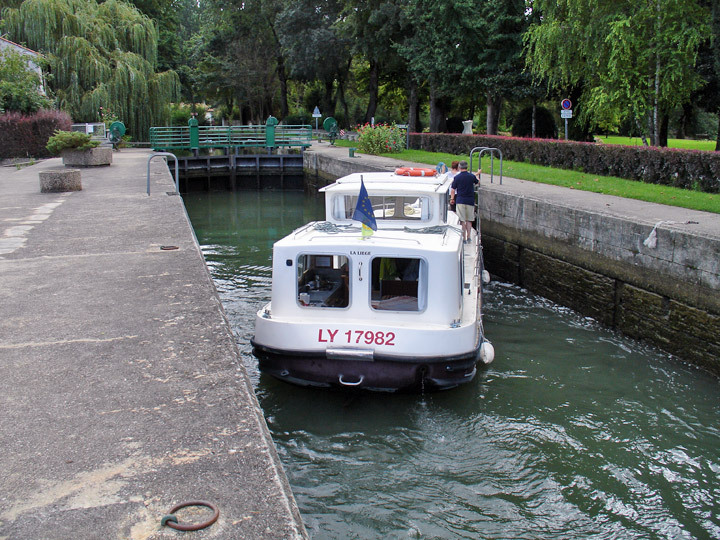 Cognac, town in west central France, in Charente Department, on the Charente River, in Angoumois. 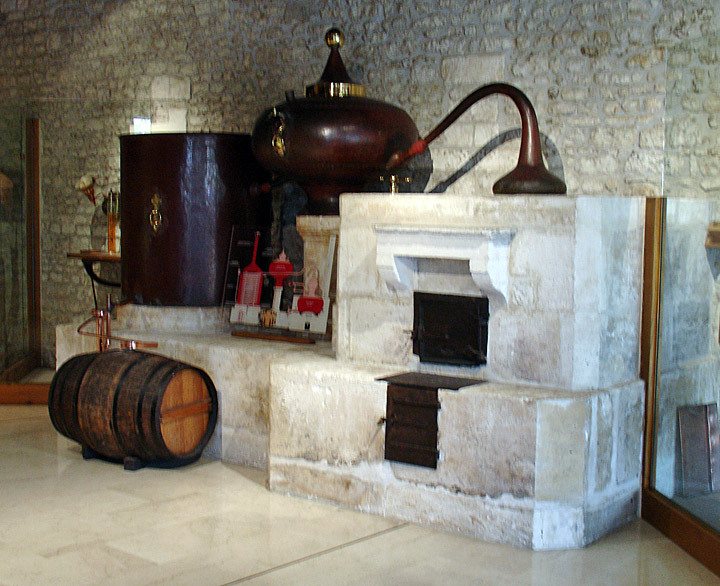 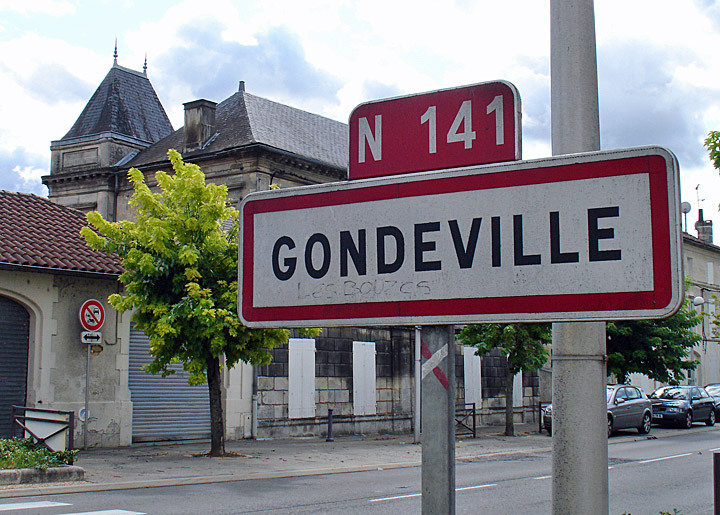 The leading industry is the distillation of cognac, a famous brandy named for the town and made here since the 18th century. 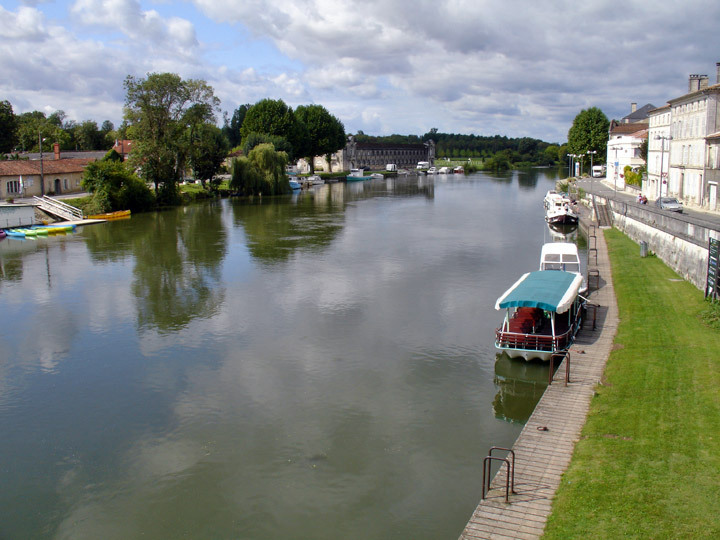 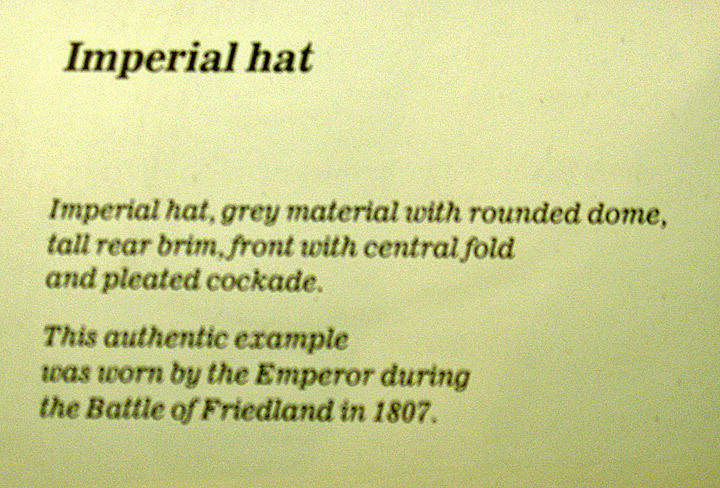 Points of interest include a 12th-century church and a castle built in the 15th and 16th centuries. 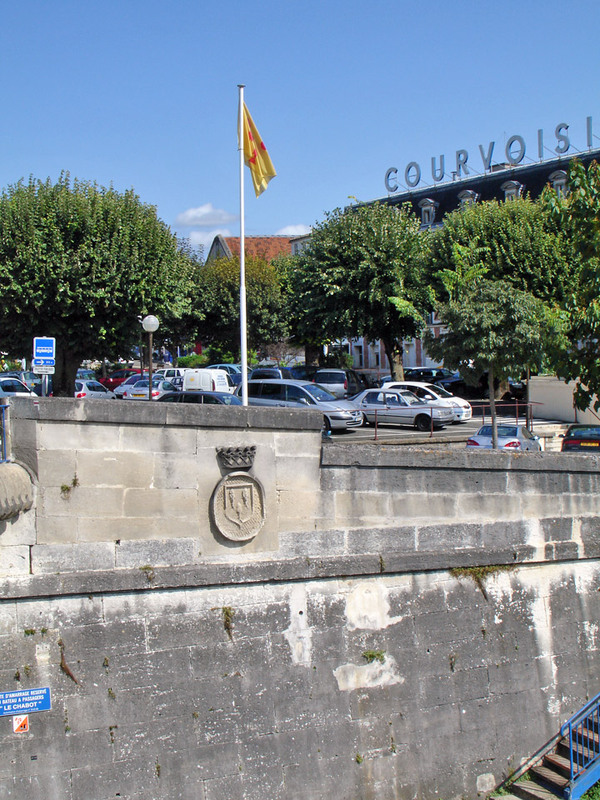 Francis I of France was born in Cognac in 1494. 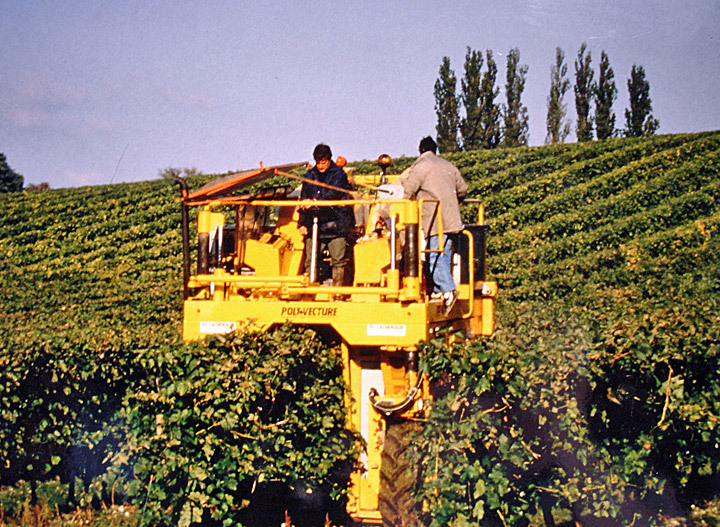 Population (1999) 19,534. 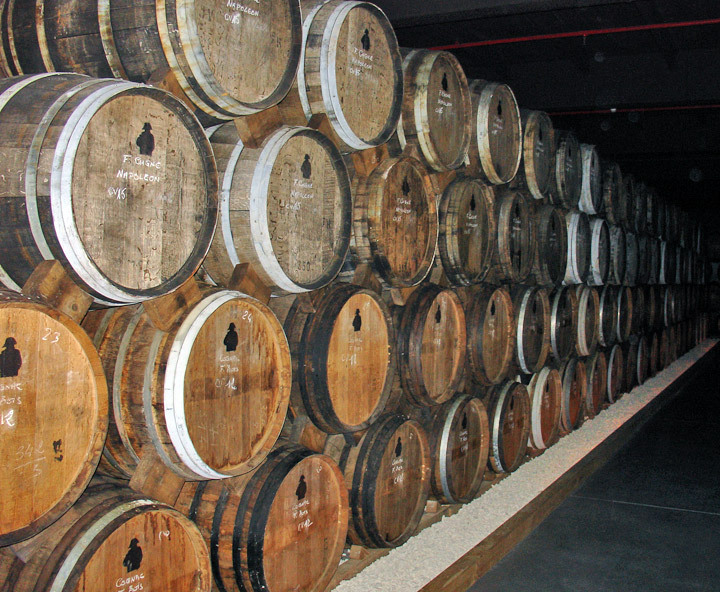 Brandy, alcoholic beverage produced by the distillation of grape wine and matured by aging in wooden casks. 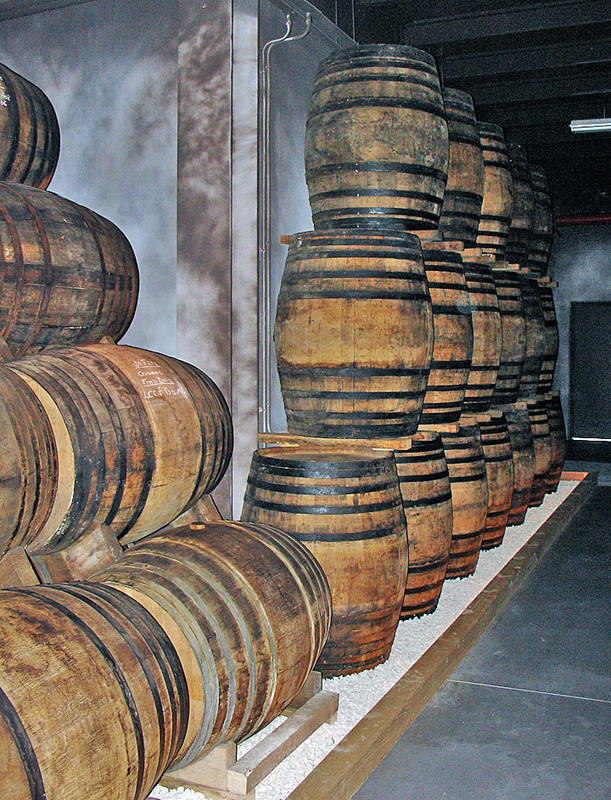 When freshly distilled, the brandy is clear and colorless and will remain so if kept in glass containers. 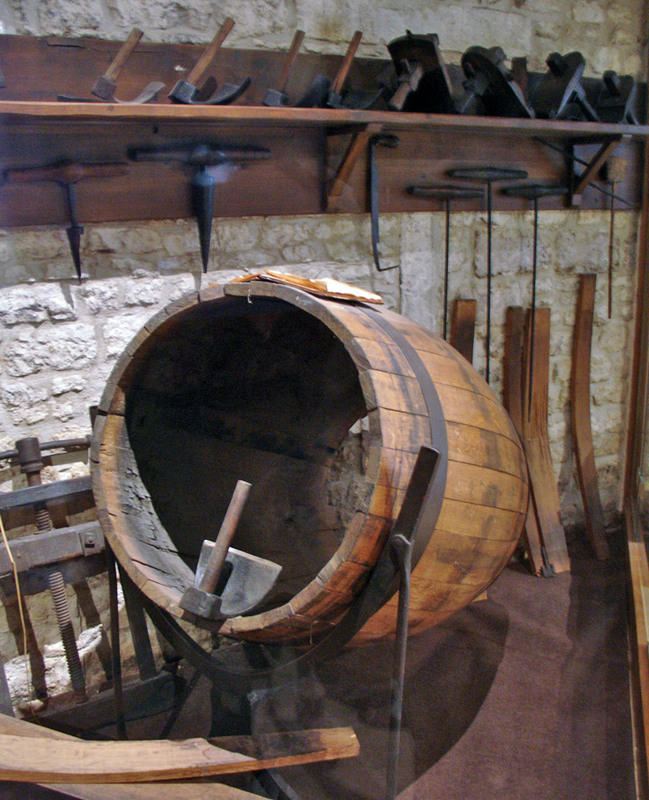 Placed in wooden casks, the spirits dissolve a coloring matter from the wood and acquire a light brownish tint, which dealers often deepen by adding burnt sugar. 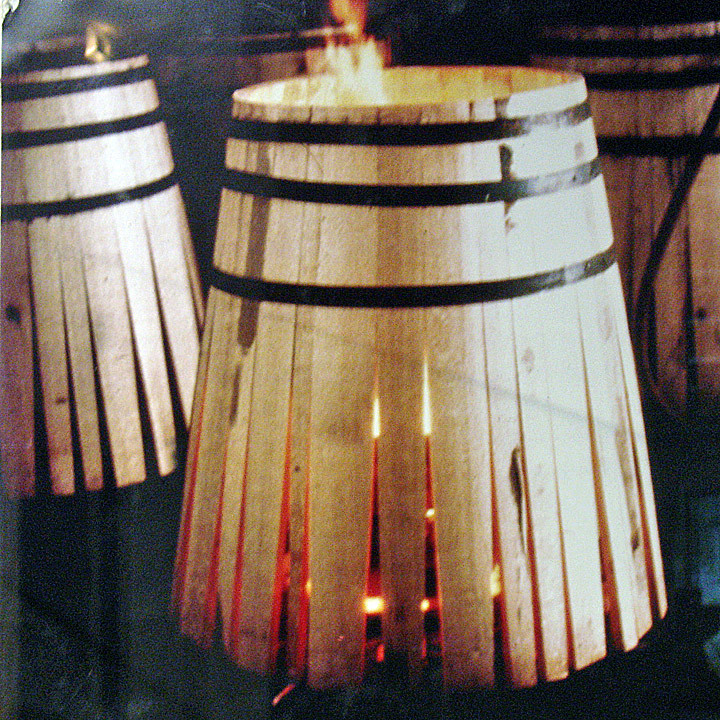 The distinctive aroma of brandy is due to the presence of traces of higher alcohols and volatile oils. 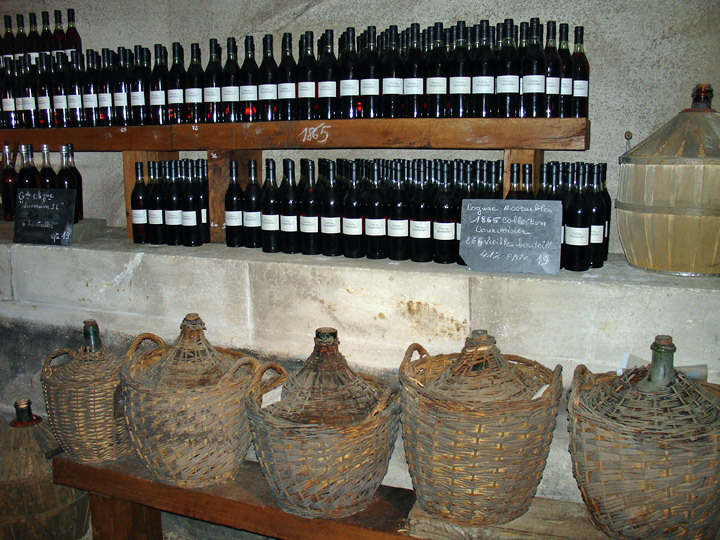 The very high alcoholic content of the raw spirits is reduced somewhat by aging and is adjusted usually to 40 to 45 percent by dilution with water when the brandy is bottled for sale. 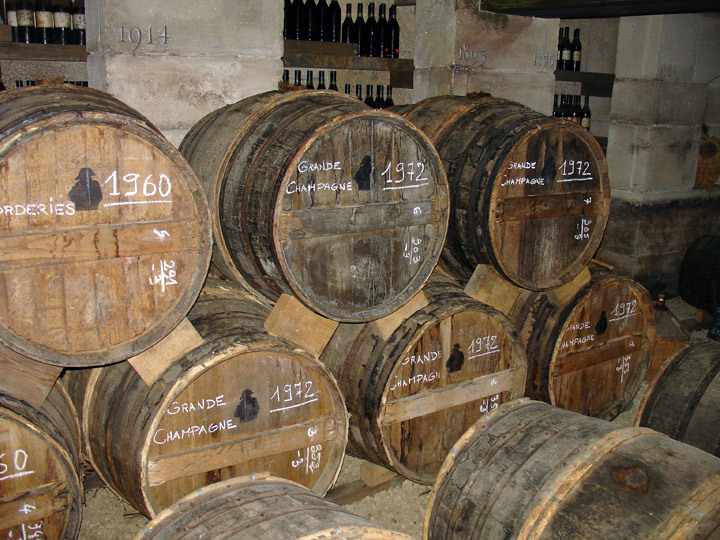 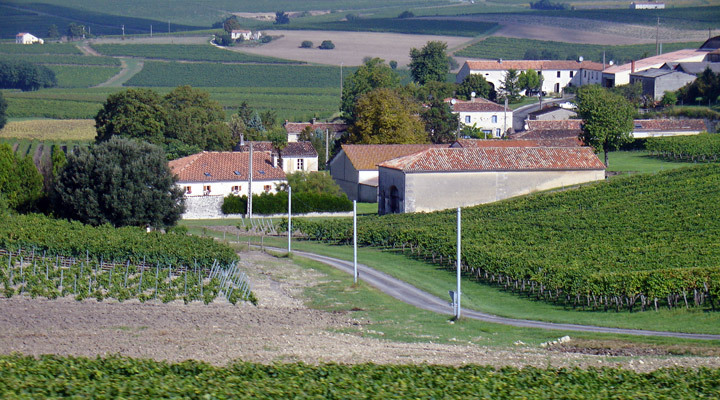 Perhaps the most famous brandy is cognac, named after a town in the wine-producing department of Charente, France. 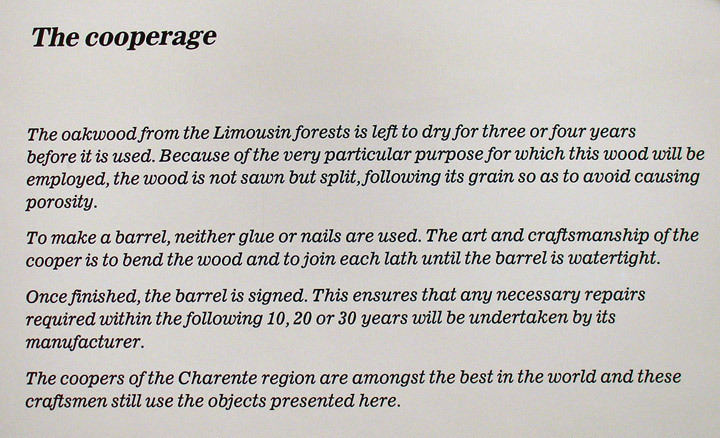 The amber-hued cognac is made by distilling white wine, which is then aged in an oak cask. 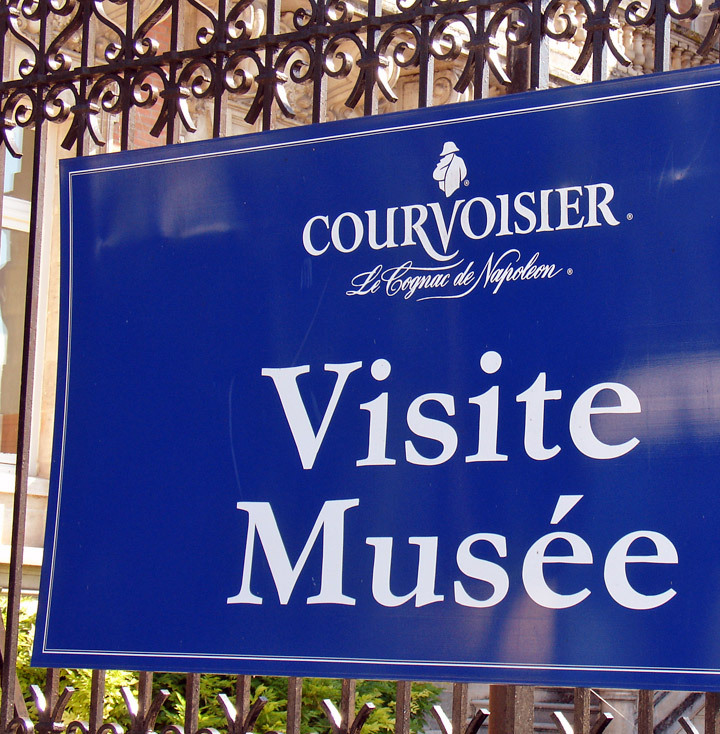 The origin of Courvoisier history goes back to the beginning of the 19th century with Emmanuel Courvoisier and his associate, Louis Gallois, running a wine and spirit merchant company, in the Parisian suburb of Bercy. 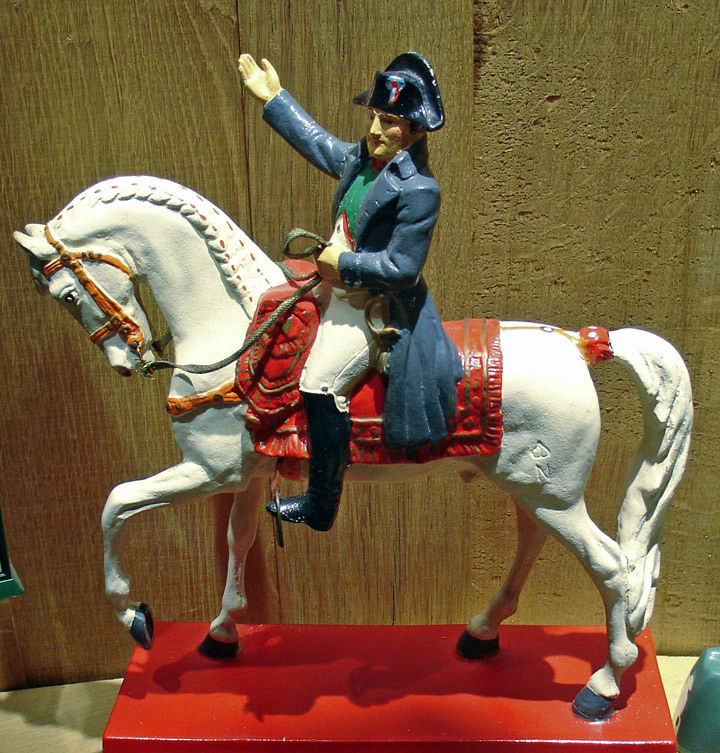 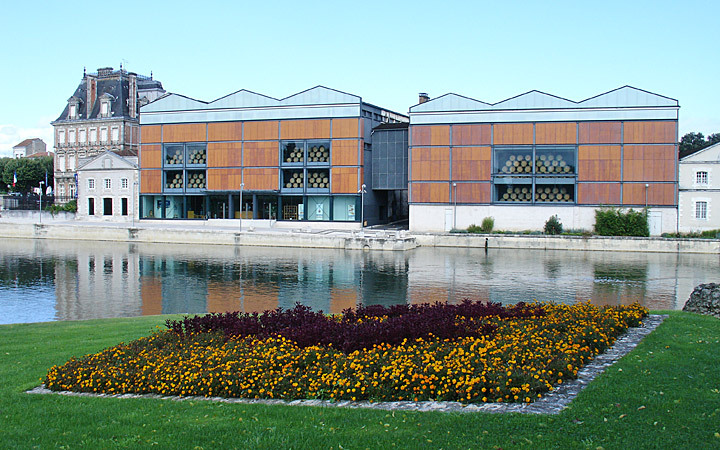 In 1811 Napoleon visited their warehouses in Bercy and he was hosted by Louis Gallois, the Mayor, and Emmanuel Courvoisier. 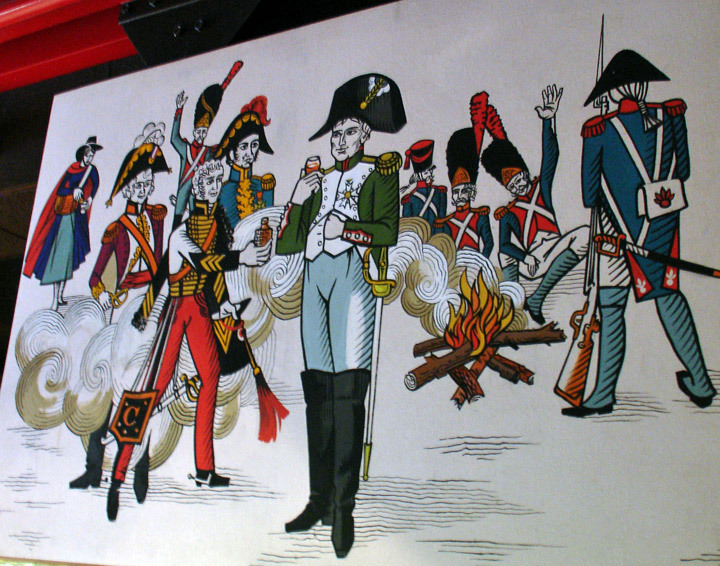 Legend has it that Napoleon I later took several barrels of cognac with him to St Helena, a treat much appreciated by the English officers on the ship who named it "The Cognac of Napoleon”. 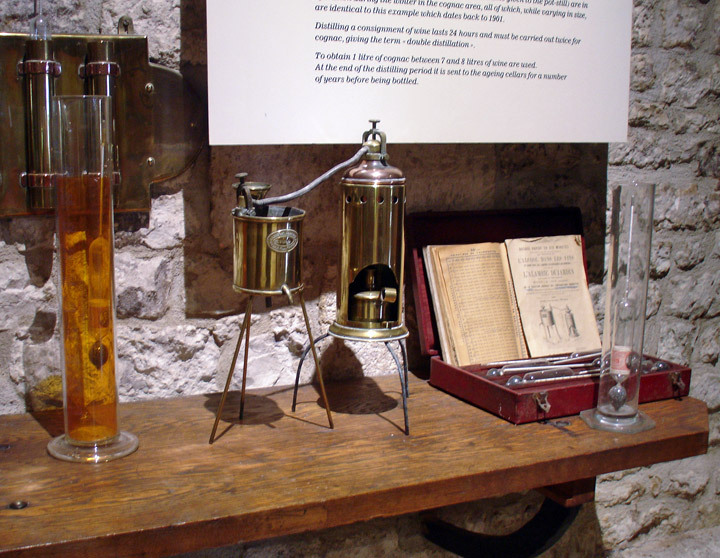 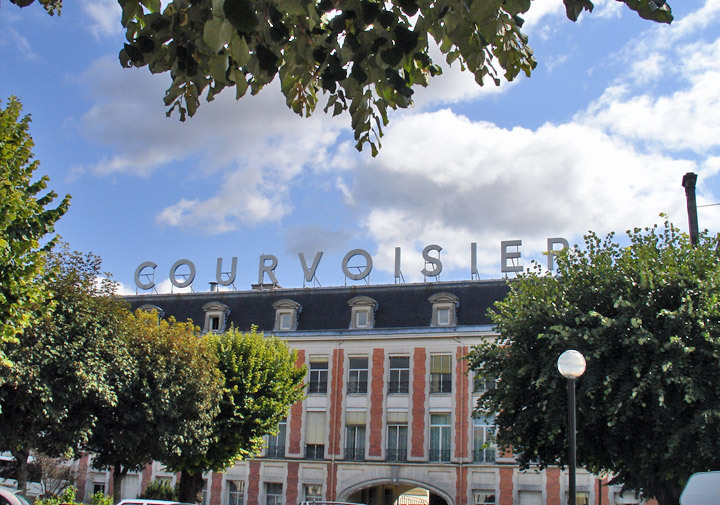 In 1843, the son of Emmanuel, Felix Courvoisier established the COURVOISIER in Jarnac in partnership with Jules Gallois. 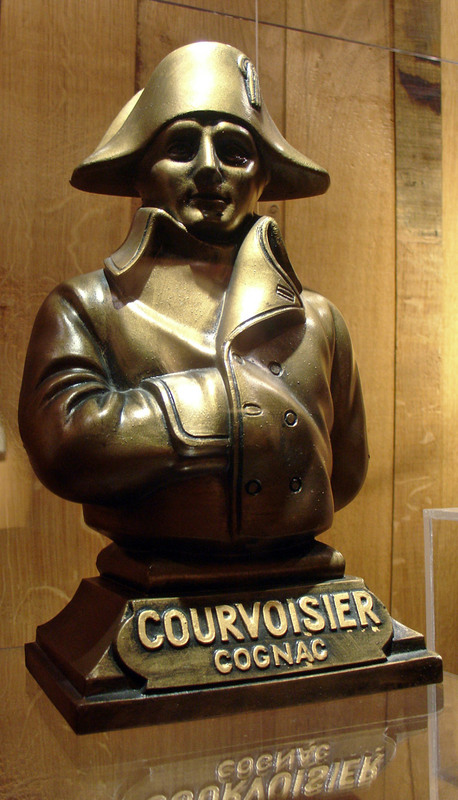 When Felix died in 1866, his nephews and associates – the Curlier brothers - took over the management of the COURVOISIER. 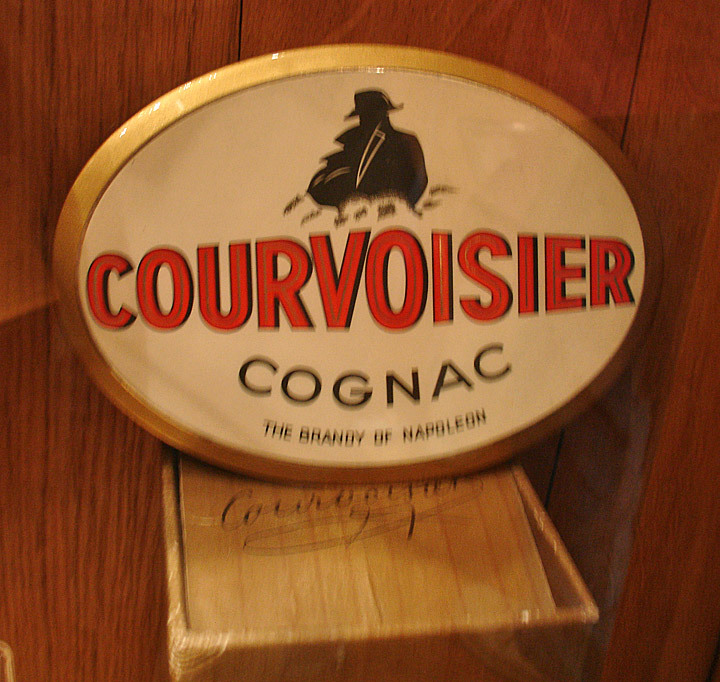 COURVOISIER’s reputation as the finest cognac available, was again reinforced by Napoleon III who granted COURVOISIER the title of "Official Supplier to the Imperial Court" in 1869. 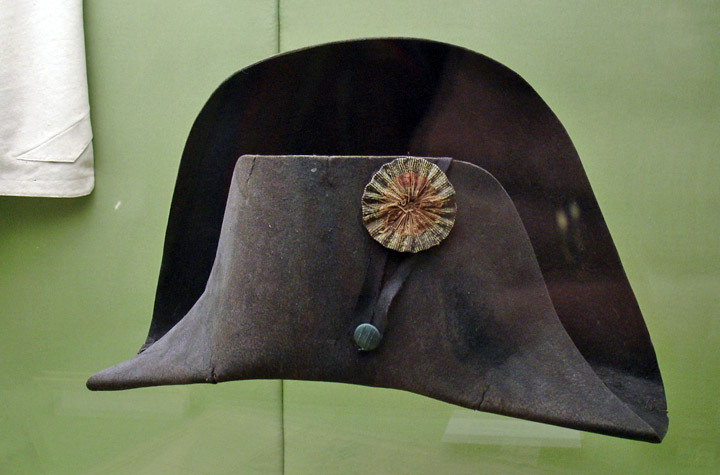 This certificate is now on display at the COURVOISIER museum in Jarnac, with many other Napoleonic artifacts and memorabilia. 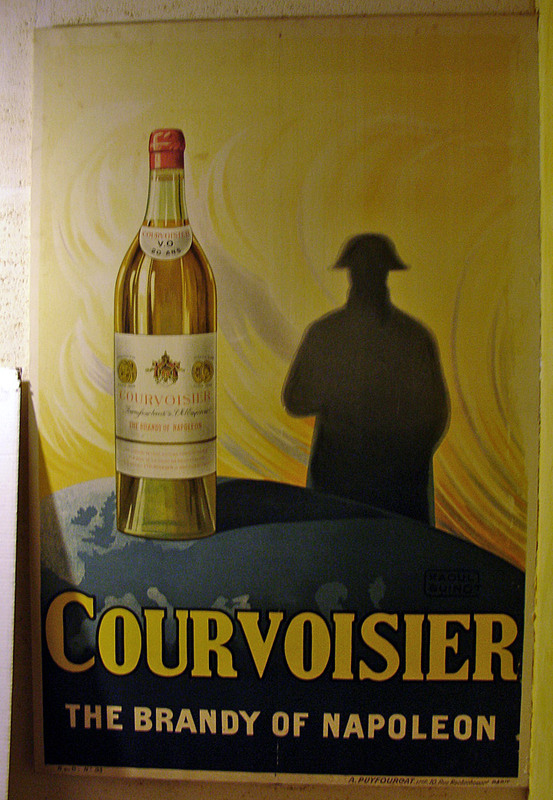 In 1909, the English Simon family took over the COURVOISIER and started to build the COURVOISIER brand identity and developed its global reputation. 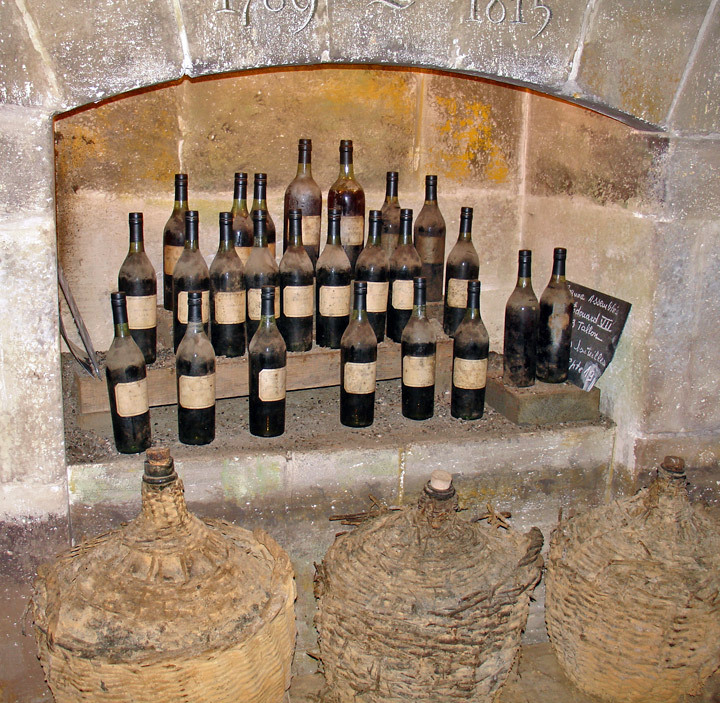 They established the Napoleon silhouette and introduced in 1950, the Josephine bottle, both of which are now recognized and renowned worldwide.